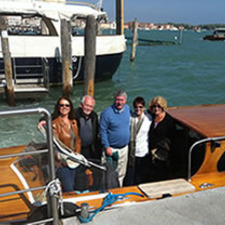 I'm a qualified professional tour guide in Venice since 2000. I graduated in History from the University of Venice, concentrating my studies on Venetian and Byzantine art and history, and I'm about to get a master degree in Economy and Management of Cultural Heritage. I lived in the USA for two years and worked for one year in EPCOT Center, Disneyworld in Orlando, Fla. I love travelling and local cusine, the sea, nature, animals, and 60s and 70s pop and rock music. I consider my profession a privilege, a pleasure and a passion.